Protein supplements that are available in the market are typically in the powdered form. These supplements are valuable to vegetarians and omnivores alike, transforming simple juices and smoothies into full-fledged meals. Most protein powders contain soy, whey, casein and egg, which are unsuitable for vegans and individuals who have certain health restrictions. Pea protein is an animal-free supplement made from extracting the soluble pea protein from yellow split peas. Extracted from the yellow pea, pisum sativum, pea protein is a food additive, generally used as a dairy alternative and a dietary supplement. It boasts a neutral taste and possesses a typical amino acid profile, making it a most feasible choice for food industry. Plant based proteins, due to their higher nutritional specifications, are better accepted than synthetic proteins in the sports drink industry. Technological advancements in processing and manufacturing have lowered the product costs of end outcome protein. Extensive research has resulted in improving the taste and texture of the protein supplements, which was rather bland and lacking rich texture. With their proven health benefits, pea protein has a higher scope of incidence in weight management and fitness industry, creating an opportunity for money-spinning venture in the sector. Roquette, A&B Ingredients, and Axiom Foods are some of the many companies whose market shares are wide in pea protein segment. Companies are focused on setting up their manufacturing units in the US, as the demand is growing in the region. The same technique was also used in France, where French-grown yellow peas are manufactured; now the same is in demand in US. All the major players in the sector are expanding their reign with the agenda of gaining supremacy in the market. New entrants, in spite of heavy competition have not backed off due to the high profits associated with the market. Companies have engaged in extensive scientific research in order to identify better and economically feasible active-ingredients with wider and profitable application range. 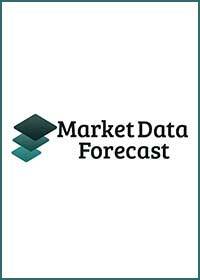 With new entrants coming into the sector and increased demand for related products from the public, global pea protein market is expected to grow considerably during the next five years.